William Bradley Pitt is an American actor and film producer. He has received multiple awards and nominations including an Academy Award as producer under his own company Plan B Entertainment. Pitt first gained recognition as a cowboy hitchhiker in the road movie Thelma & Louise. 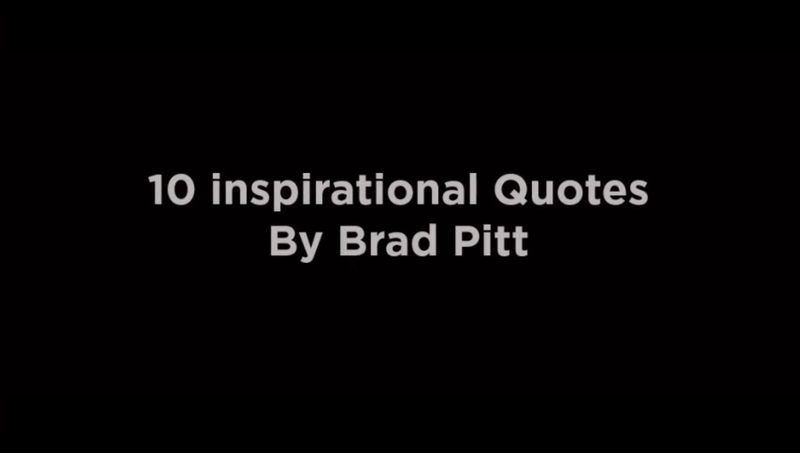 Here are 10 Brad Pitt quotes that will inspire you.